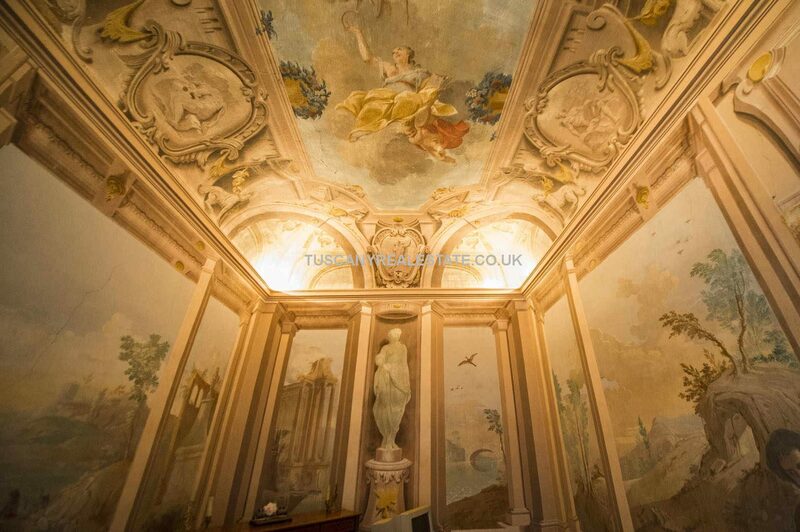 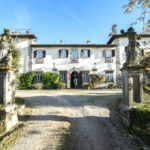 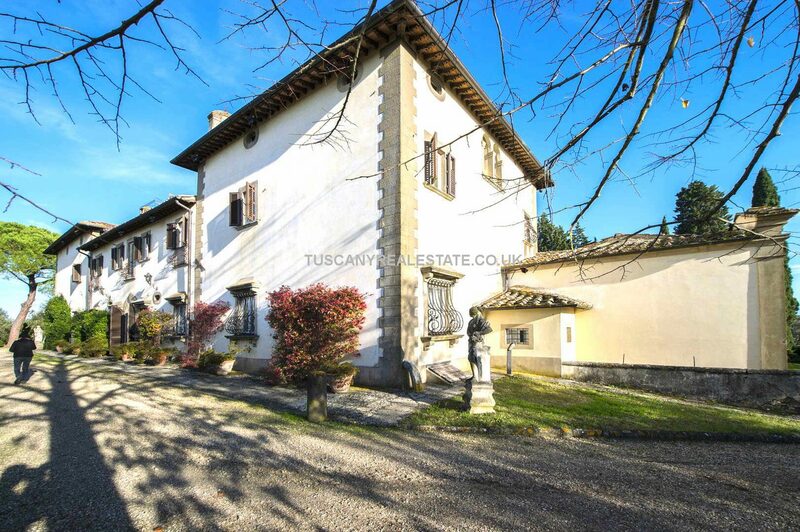 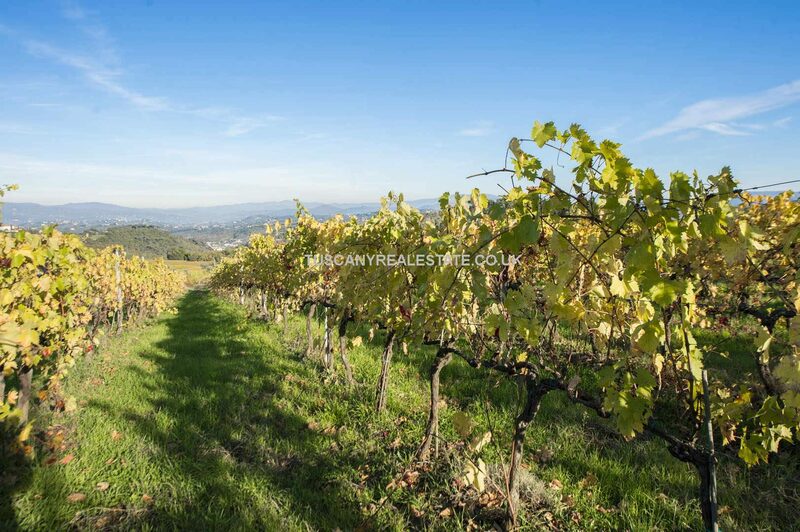 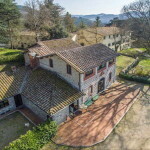 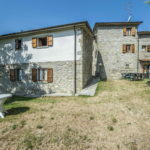 Chianti hills Florence Tuscany wine estate for sale. 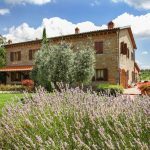 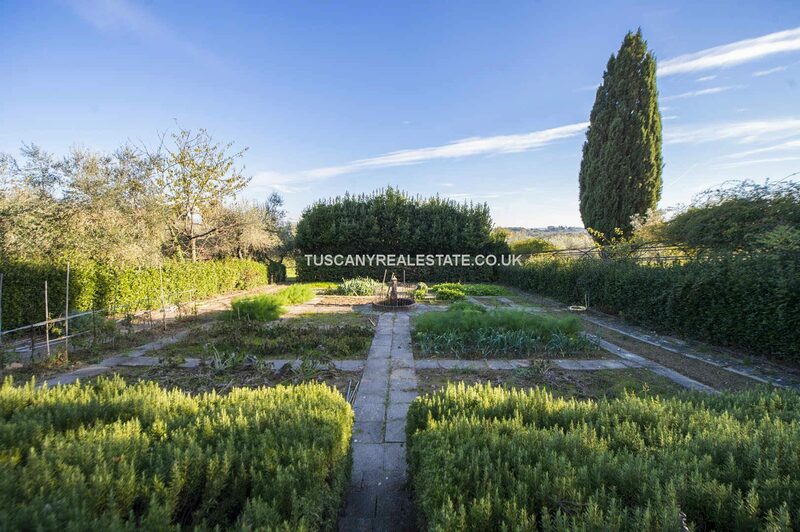 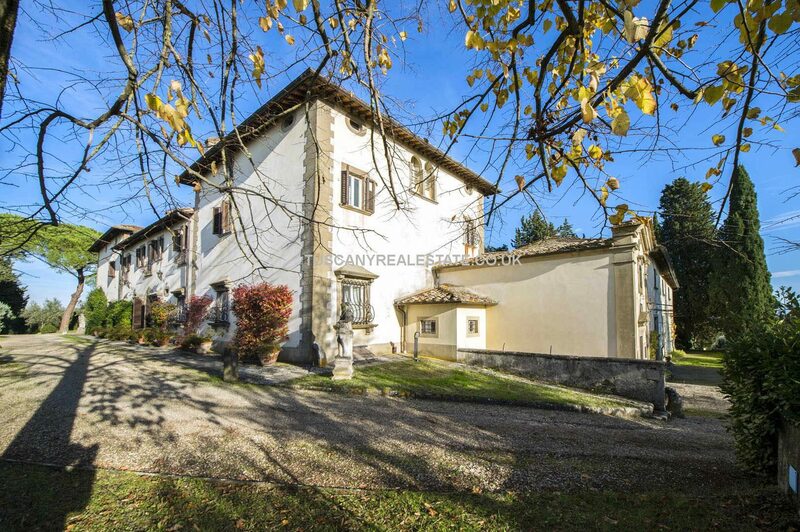 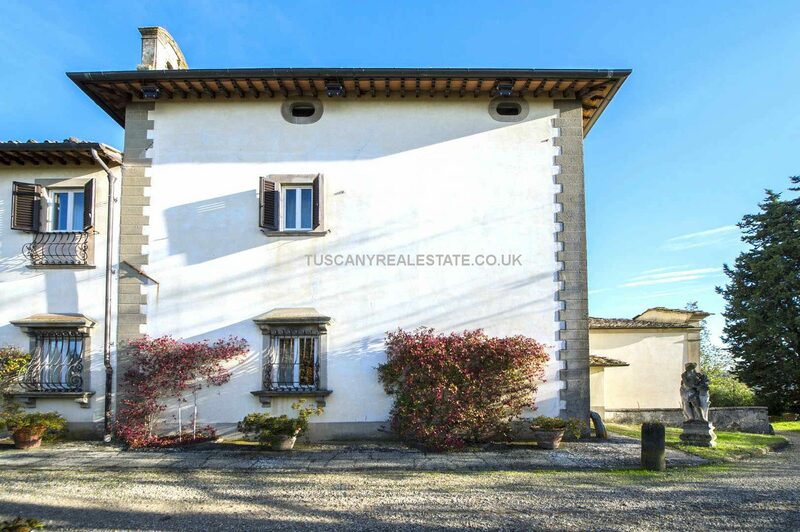 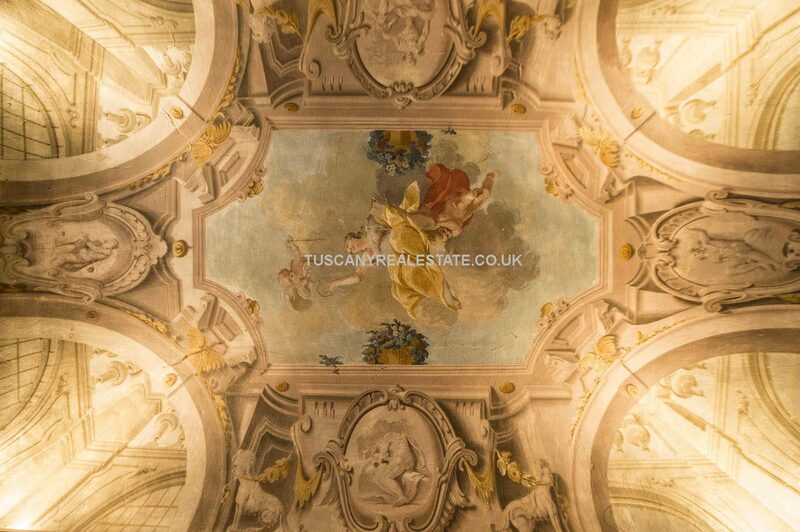 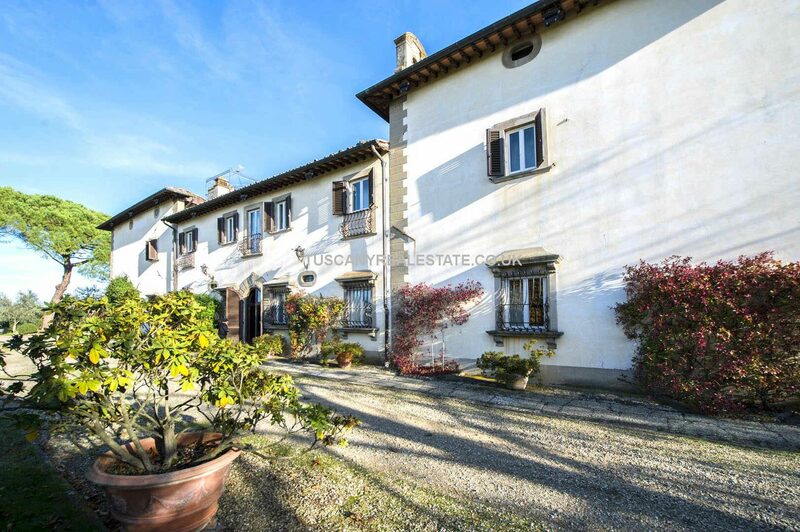 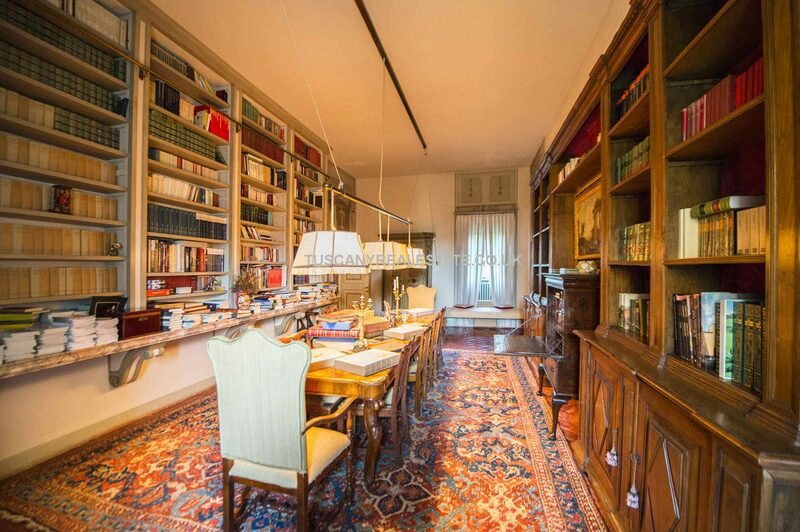 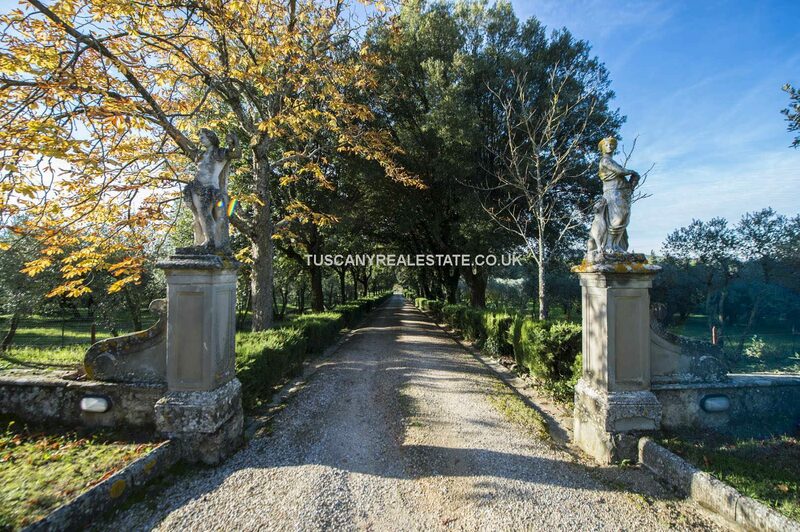 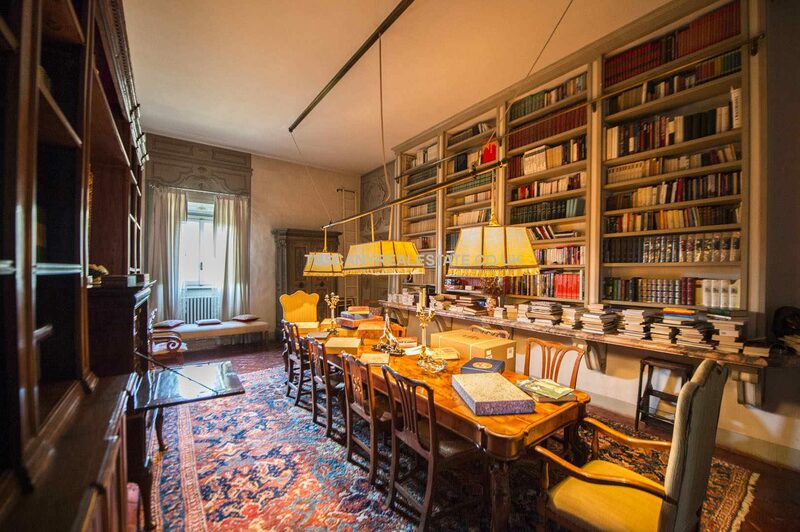 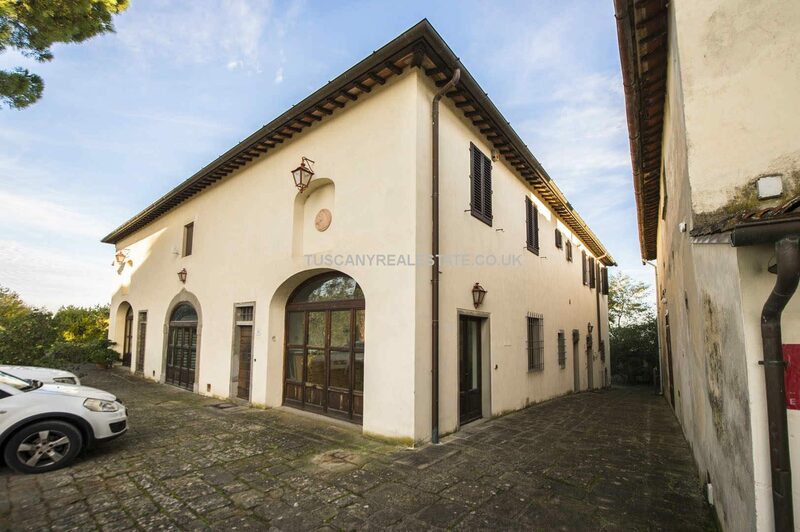 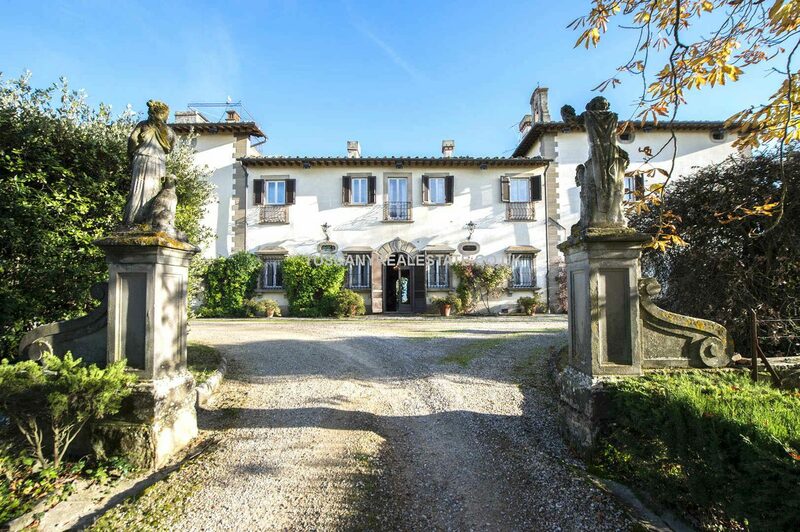 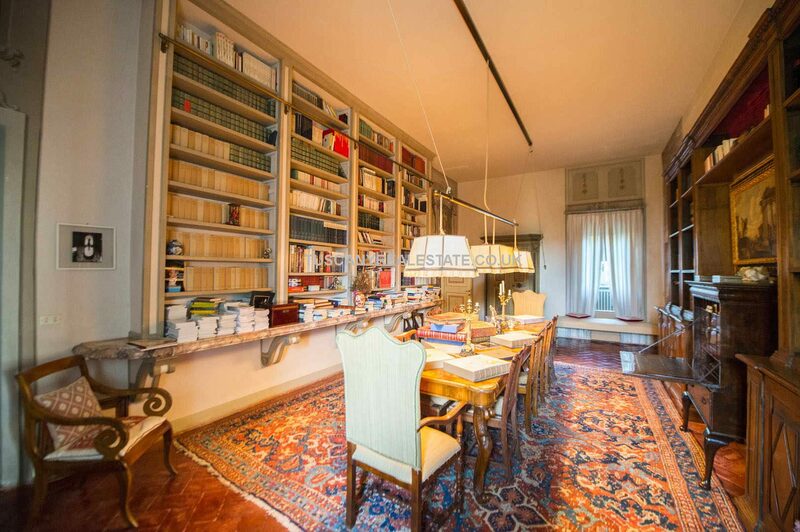 Prestige property with 2,546 sqm of livable surface accommodation plus 16 hectares of land, including 4.6 ha of Chianti Classico DOCG vineyard and 10 ha olive grove. 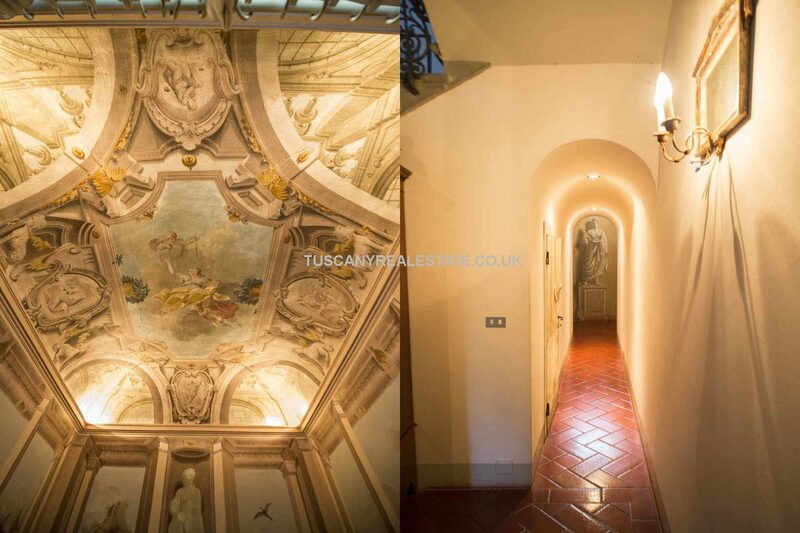 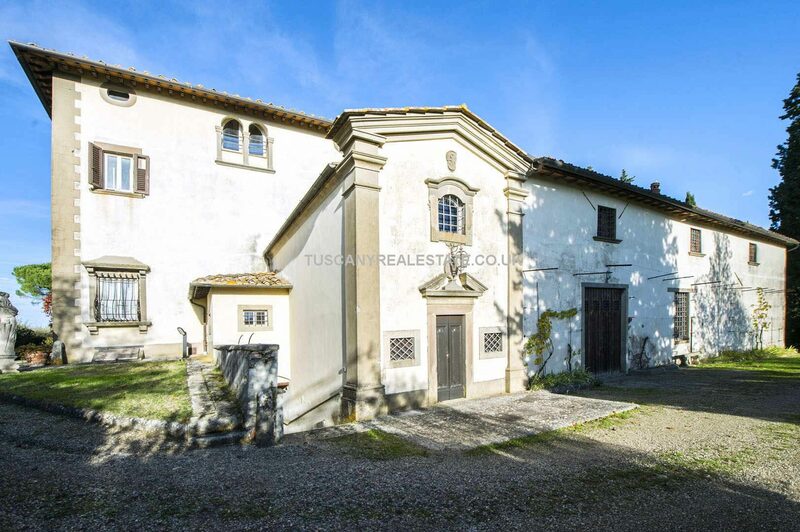 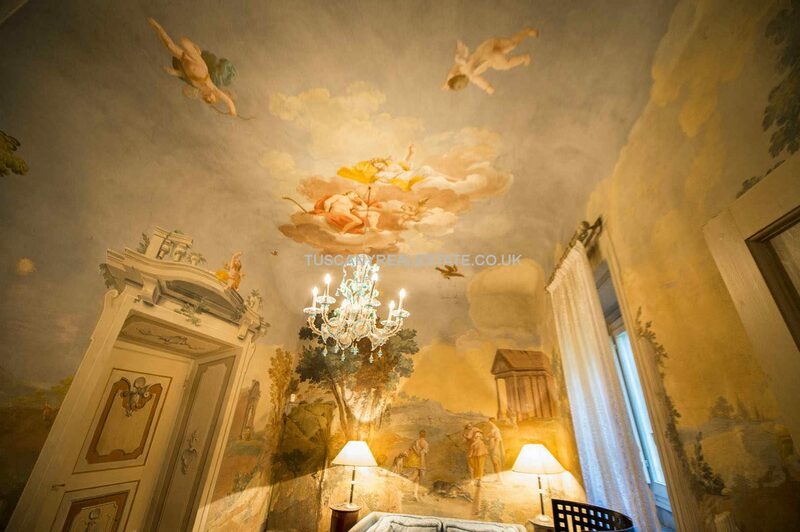 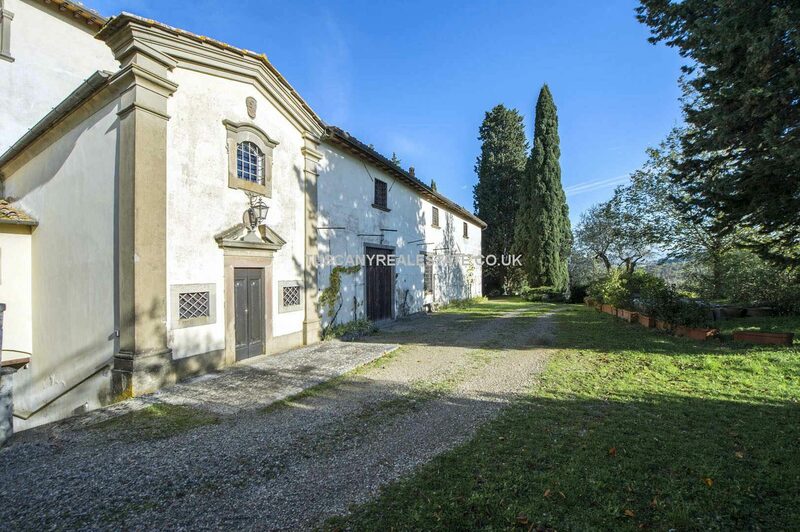 Historic villa, chapel plus several residential and/or agricultural buildings. 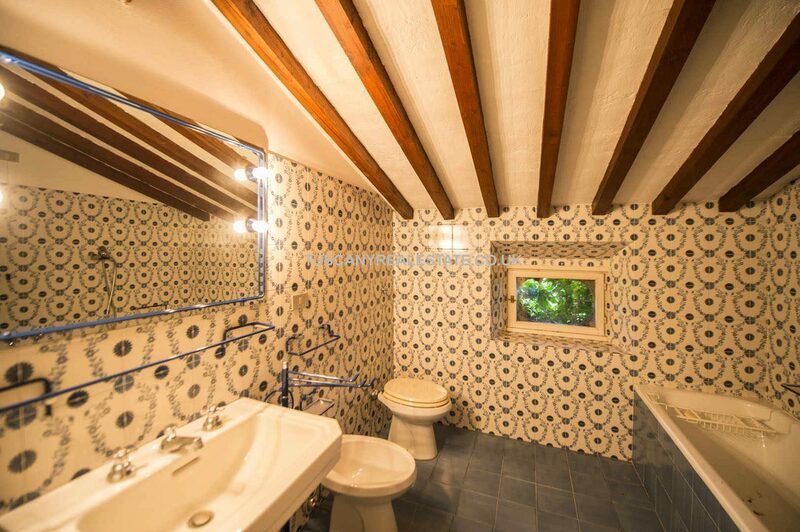 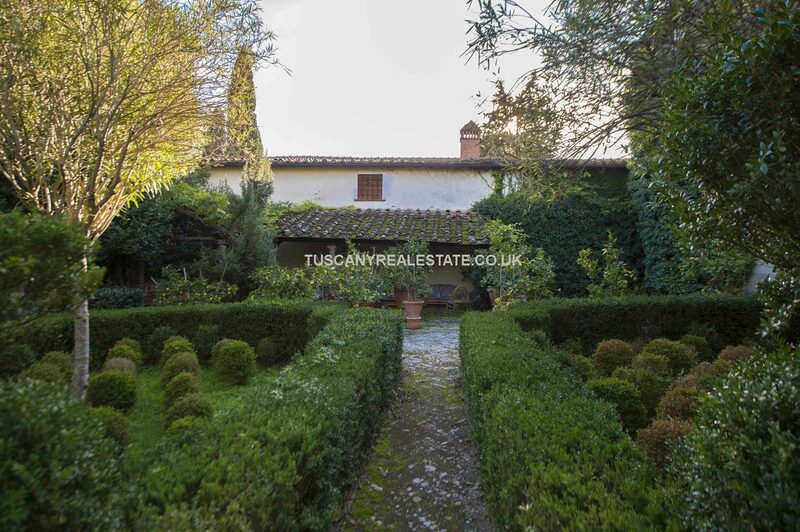 A charming Historic property which would lend itself perfectly to touristic development to add to the present wine and Olive oil income. 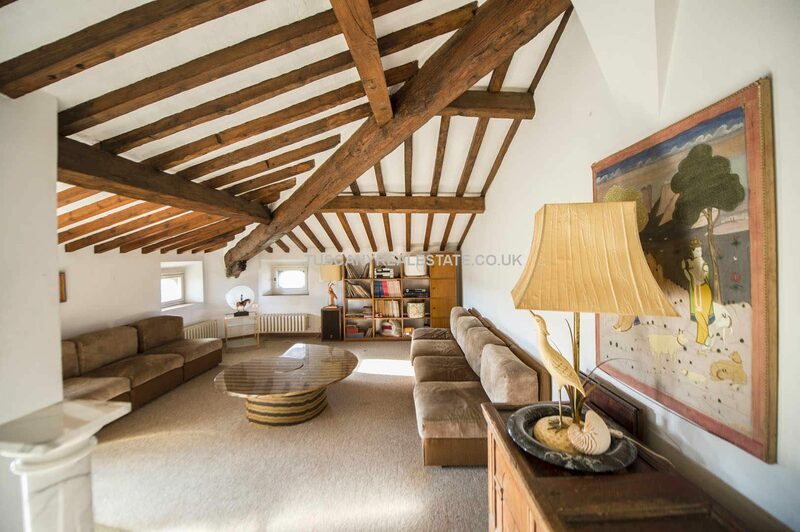 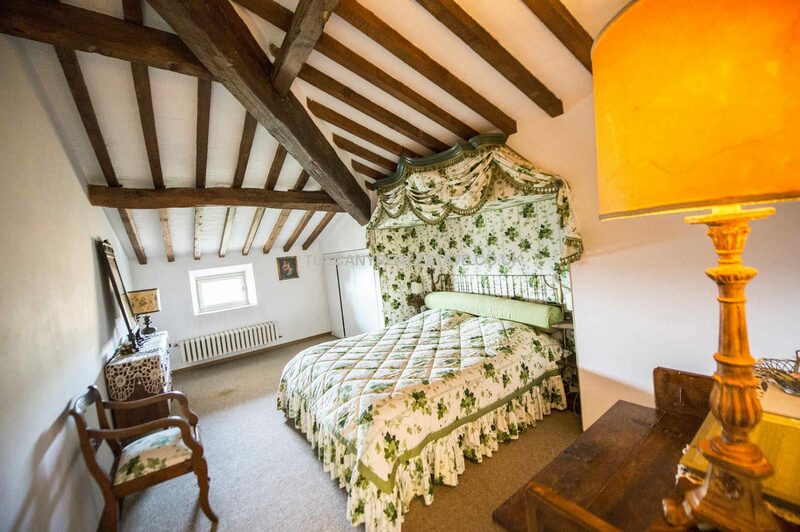 The property is made up of several buildings, the oldest of which date back to the 13th century. 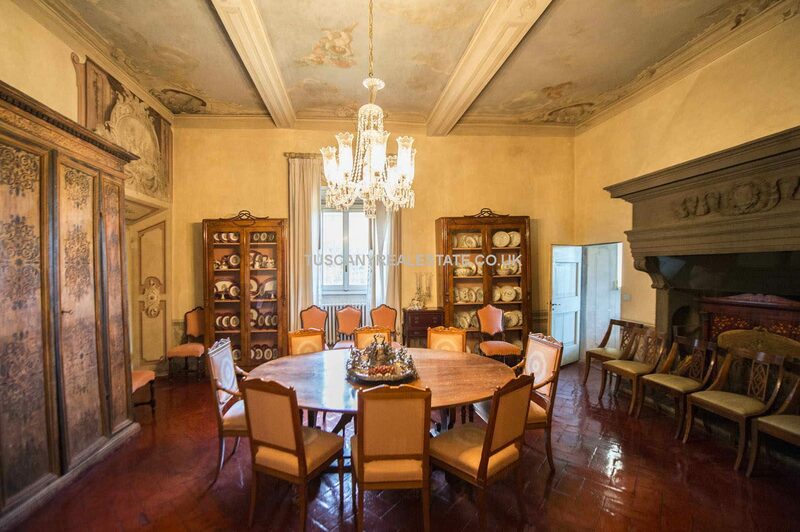 The villa can be traced back to the 16th century and the presence of kneeled-windows (finestre inginocchiate) seems to suggest Michelangelo’s influence (directly or indirectly it is hard to say) in the original project. 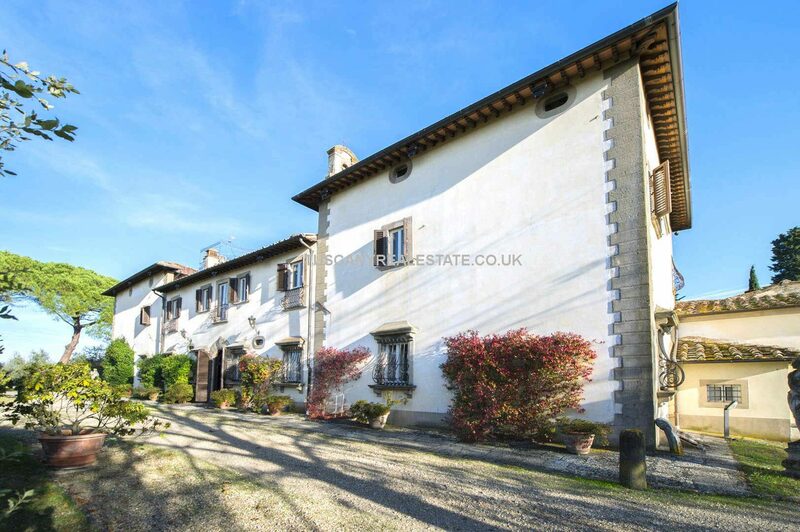 The historic villa (1,476 sqm – 15,882 sqft) is the main core of the property and includes the manor residence, a conservatory, two apartments and a cellar for wine production. 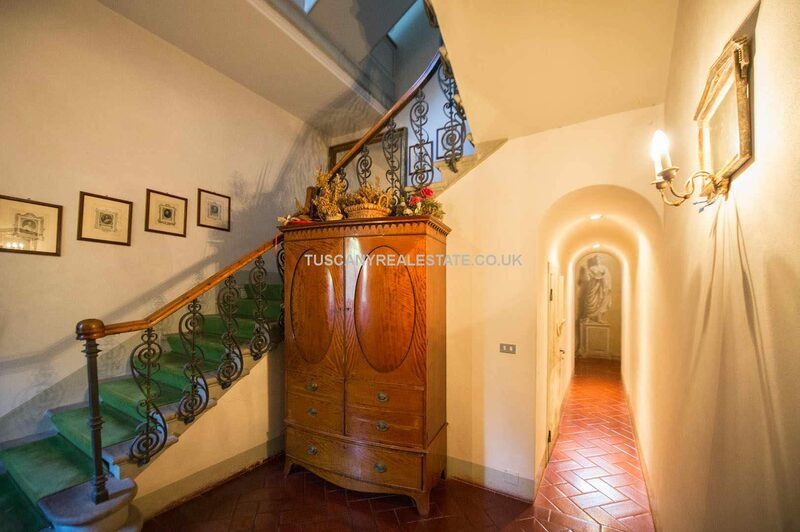 – Second floor: kitchen, two closets, bedroom, bathroom and living/dining room. 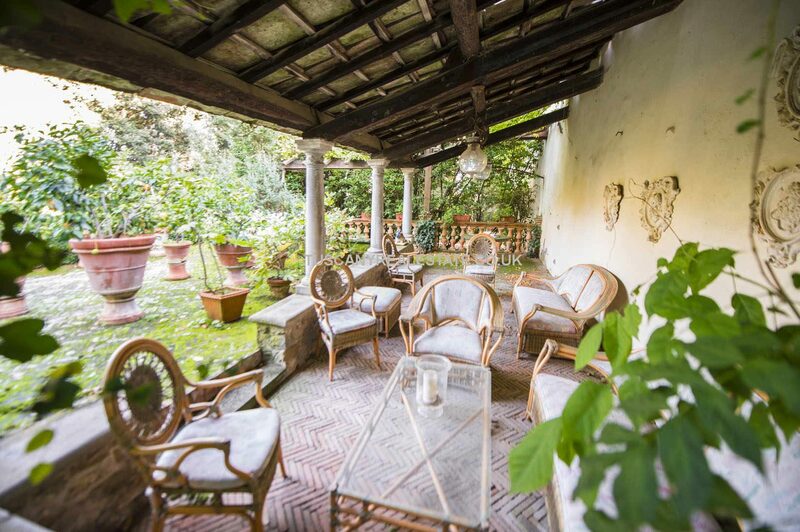 The conservatory (61 sqm – 656 sqft) is located on the northern side of the villa and allows sheltering the plants during winter. 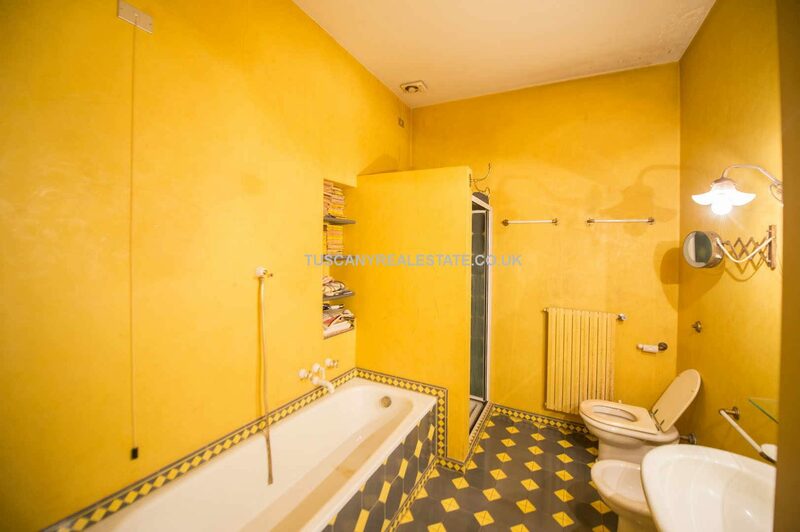 – Second floor: kitchen, living room, two bedrooms and a bathroom. 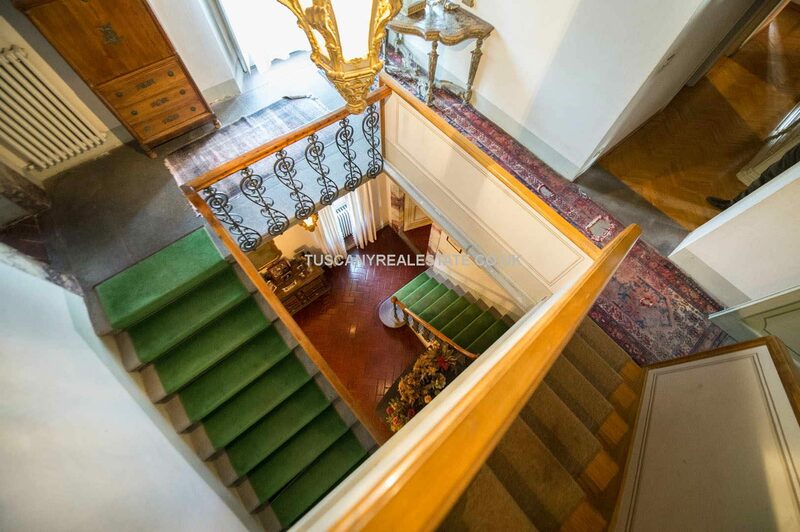 Through a winding staircase, one can reach the panoramic terrace on the rooftop, overlooking Florence on one side and the Monte Amiata on the other. 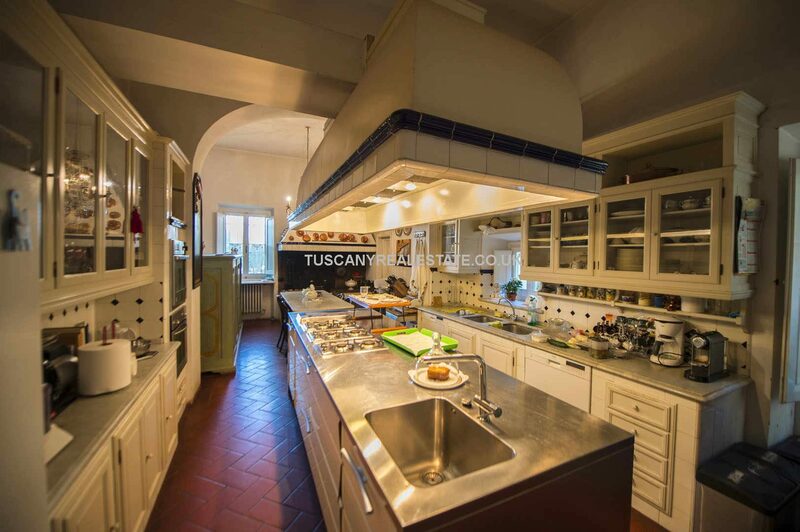 The apartment N°2 (81 sqm – 872 sqft) is located above the conservatory and is made up of the kitchen, two bedrooms and a bathroom. 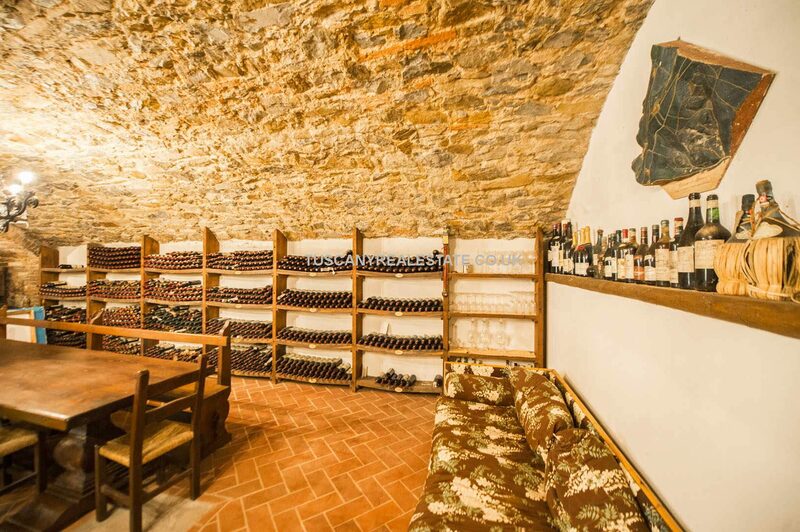 – First floor: storage room. 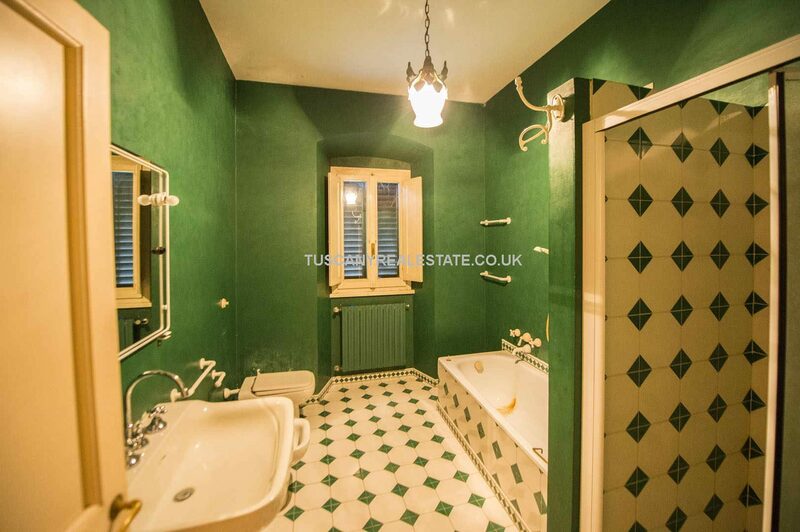 – Unit B (330 sqm – 3,551 sqft): kitchen, living room, bathroom, pantry on the ground floor; three bedrooms, three bathrooms, studio and wardrobe on the first floor. 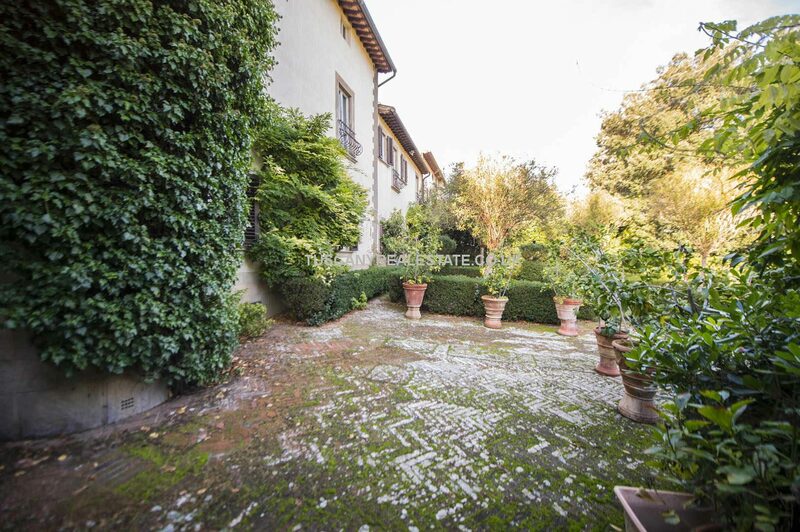 Both the residence has a private garden. 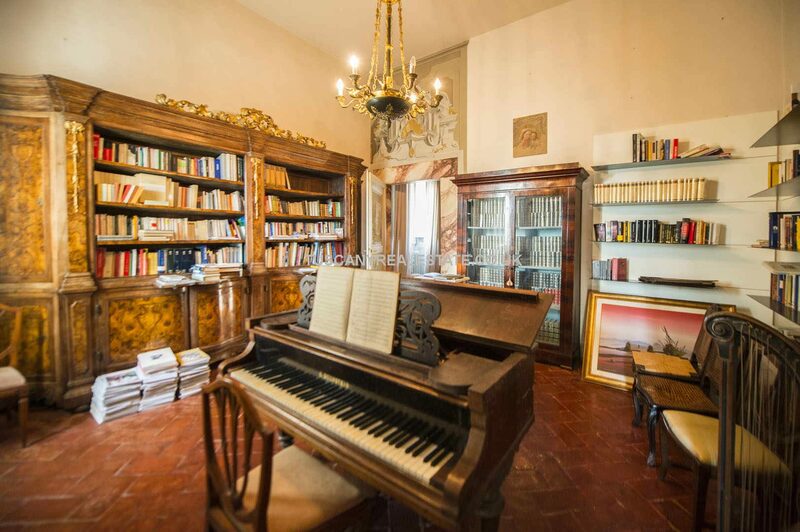 – Piano Terra: living room with kitchenette and bedroom. 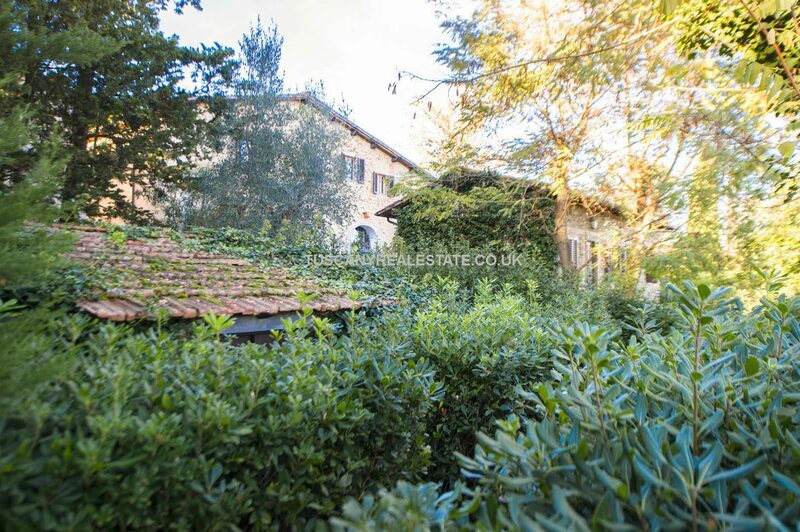 The warehouse (330 sqm – 3,551 sqft) is located right in front of the farmhouse and is currently used storage for agricultural tools and machinery. 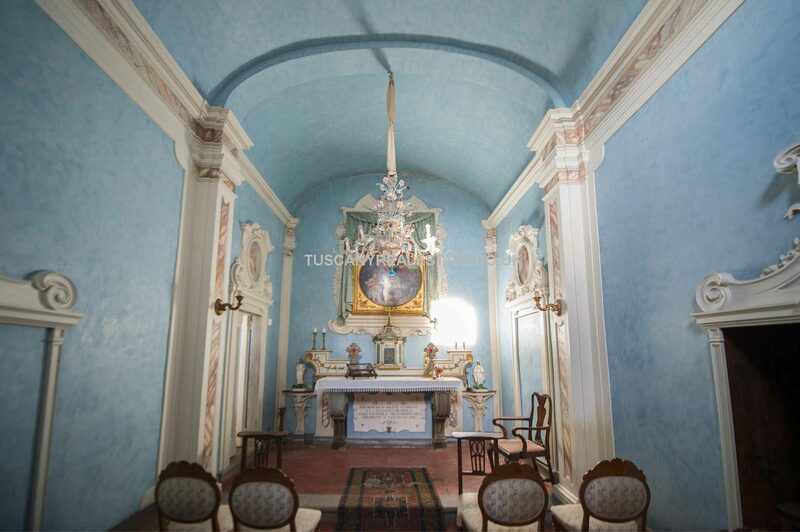 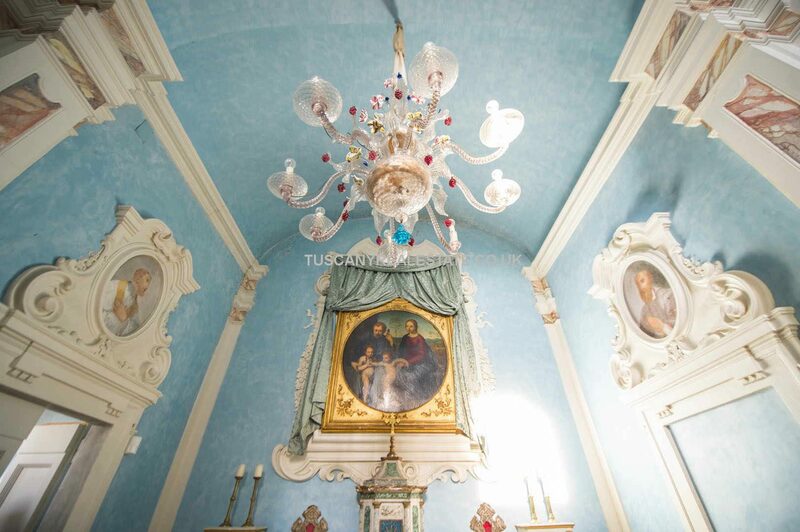 The complex also has a beautiful 18th-century chapel. 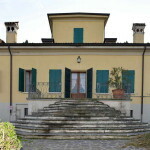 The complex is surrounded by an ample park made up of several small gardens. 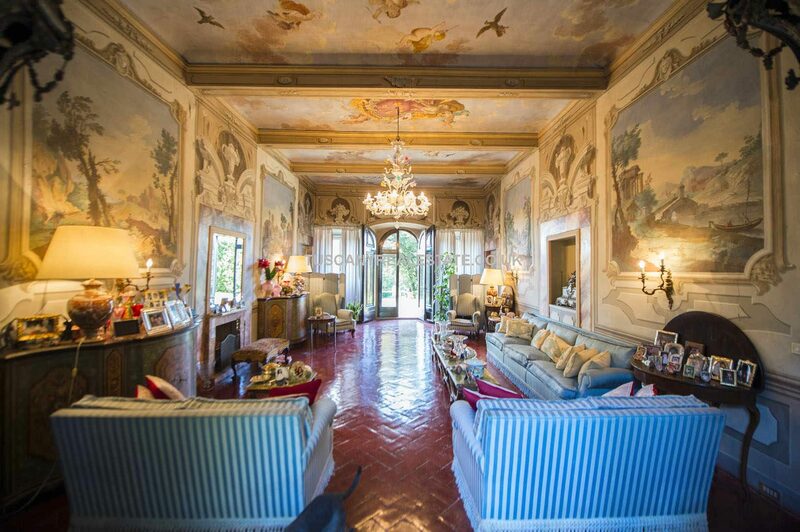 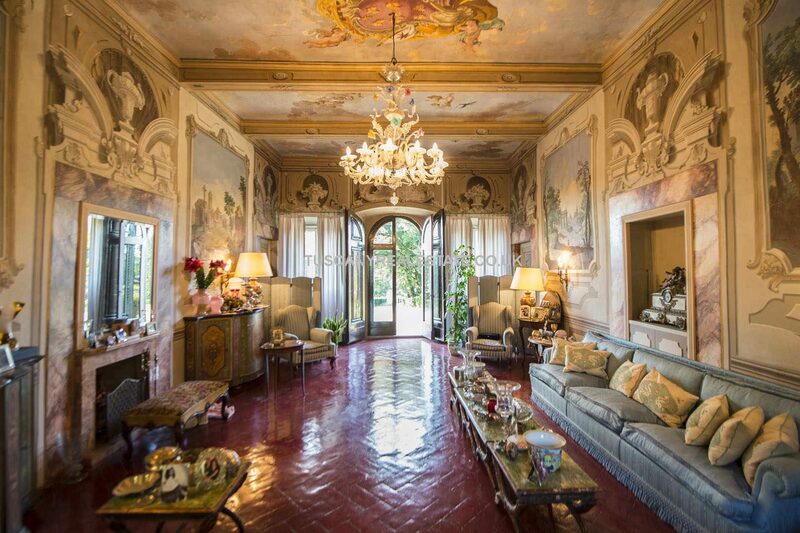 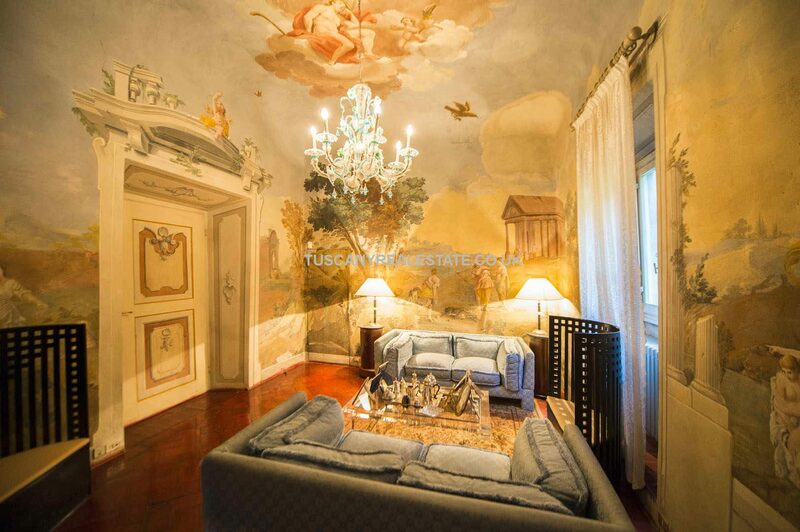 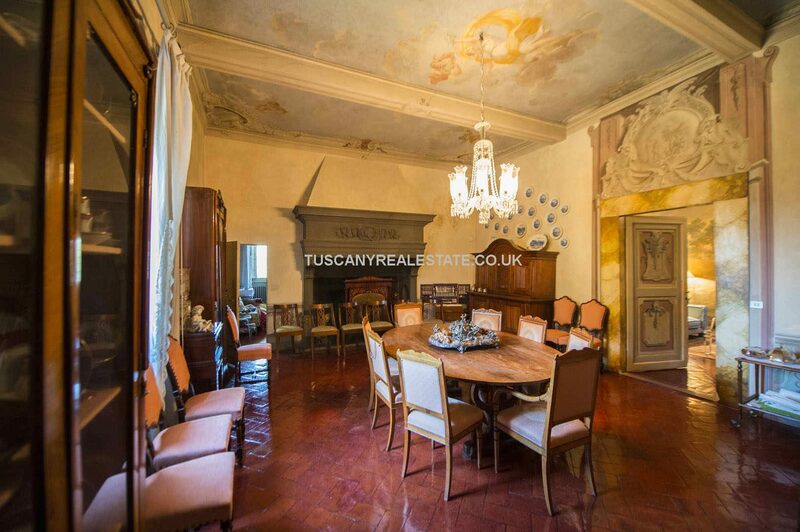 At the rear, the villa has an Italian garden with pietra serena columned portico with 15th-century decorations. 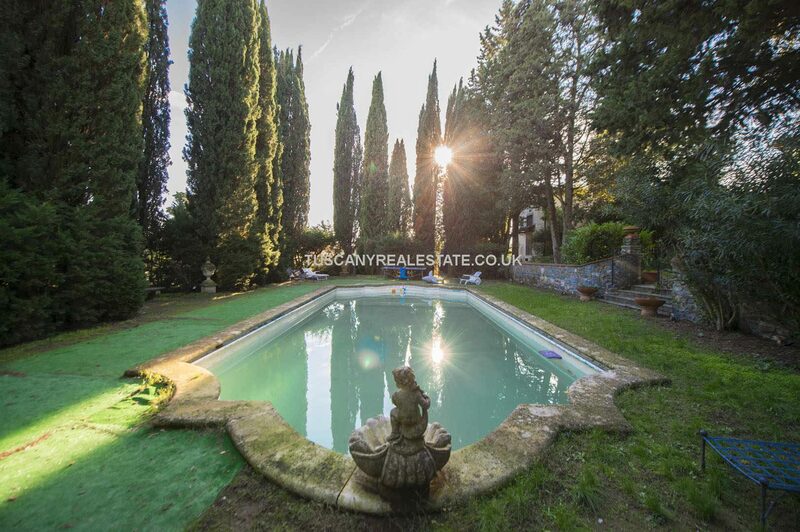 Here there is a beautiful pool framed in pietra serena. 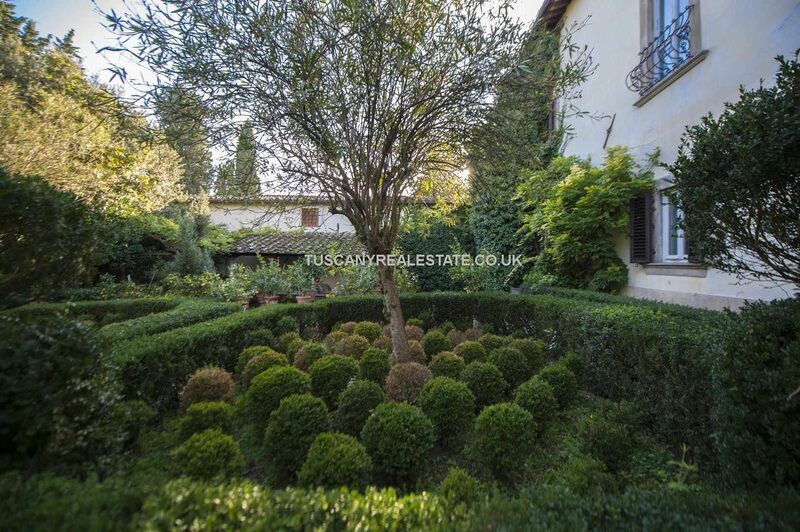 From this Italian garden, you can access, via a couple asymmetrical staircases, a further garden with dining area and outdoor kitchen. 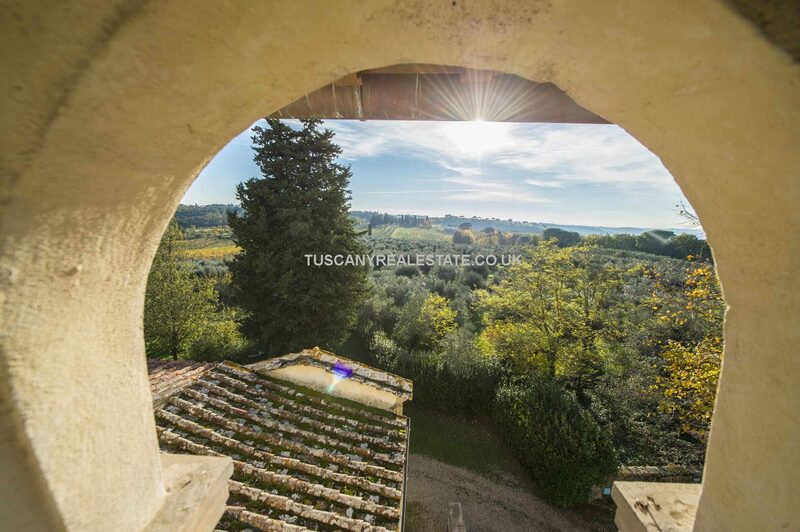 Moving north you pass through a rose tunnel, a garden and finally an olive grove. 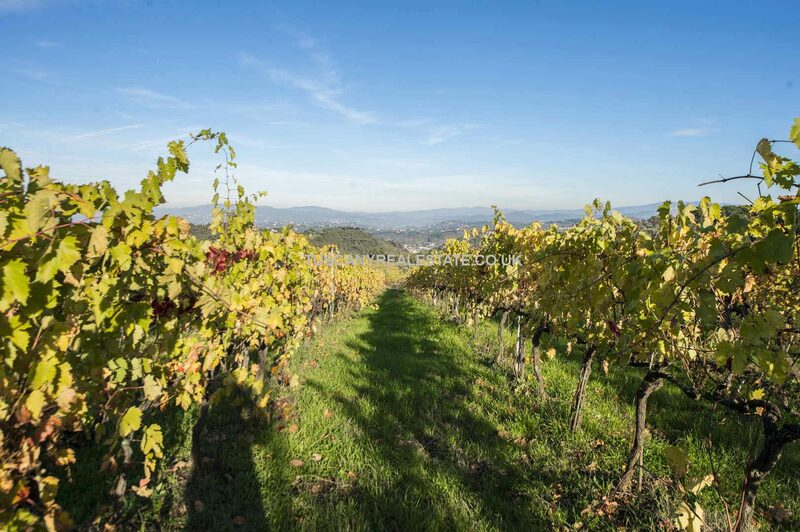 As far as cultivations are concerned, there are 4.6 hectares of vineyards (of which 3.8 hectares listed as Chianti Classico DOCG) which can be used to produce wine thanks to the cellar in the villa and 10 hectares of olive grove (listed as Chianti Classico DOP).